Republic of Korea 1948 South Korea, (officially the Republic of Korea), independent since 1948, is not recognised by one UN member, North Korea. Republic of China considers itself to be the sole legitimate government over all of China (including Taiwan), and therefore claims exclusive sovereignty over all territory controlled by the PRC. State of Palestine 1988 Israel gained control of the Palestinian territories as a result of the Six-Day War in 1967, but has never formally annexed them. The State of Palestine (commonly known as Palestine) was declared in 1988 by the Palestine Liberation Organization (PLO), which is recognised by a majority of UN member states and the UN itself as the sole representative of the Palestinian people. Since the end of the first Palestinian Intifada against Israel the Israeli government has gradually moved its armed forces and settlers out of certain parts of Palestine's claimed territory, while still maintaining significant control over most of it. The Palestinian National Authority (PNA), which performs limited internal government functions over certain areas of Palestine, was established in 1994. 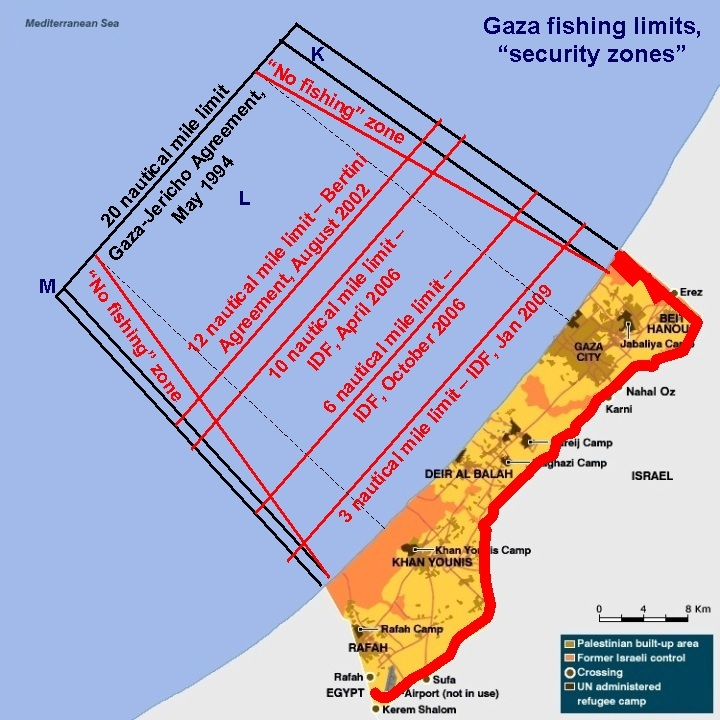 The 2007 split between the Fatah and Hamas political parties resulted in competing governments claiming to represent the PNA and Palestine, with Fatah exercising authority exclusively over the West Bank and enjoying majority recognition from UN member states, and a separate Hamas leadership exercising authority exclusively over the Gaza area (except for a short period from 2014 to 2016). [b] Palestine is currently officially recognised as a state by 137 UN member states, the Holy See, and the Sahrawi Arab Democratic Republic,. The remaining UN member states, including Israel, do not recognise the State of Palestine. The United Nations designates the claimed Palestinian territories as 'occupied', and accorded Palestine non-member observer state status in 2012. (see United Nations General Assembly resolution 67/19) Palestine also has membership in the Arab League, the Organisation of Islamic Cooperation and UNESCO. Republic of Kosovo 2008 Kosovo declared its independence in 2008. It is currently recognised by 102 UN members, the Republic of China, the Cook Islands, Niue, and the Sovereign Military Order of Malta. Ten other UN members have recognised Kosovo and subsequently withdrawn recognition. The United Nations, as stipulated in Security Council Resolution 1244, has administered the territory since 1999 through the United Nations Interim Administration Mission in Kosovo, with cooperation from the European Union since 2008. Kosovo is a member of the International Monetary Fund, World Bank Group, Venice Commission, European Bank for Reconstruction and Development, and the International Olympic Committee, among others. Sahrawi Arab Democratic Republic 1976 Morocco invaded and annexed most of Western Sahara after Spanish withdrawal from the territory in 1975. In 1976, the Polisario Front declared the independence of Western Sahara as the Sahrawi Arab Democratic Republic (SADR). The SADR is largely a government in exile located in Algeria, which claims the entire territory of Western Sahara, but controls only a small fraction of it. The SADR is recognised by 44 UN member states and South Ossetia. 40 other UN member states have recognised the SADR but subsequently retracted or suspended recognition, pending the outcome of a referendum on self-determination. The remaining UN member states, including Morocco, have never recognised the SADR. The SADR is a member of the African Union. United Nations General Assembly Resolution 34/37 recognised the right of the Western Sahara people to self-determination and recognised also the Polisario Front as the representative of the Western Sahara people. Western Sahara is listed on the United Nations list of Non-Self-Governing Territories. No state other than Morocco officially recognises the latter's annexation of Western Sahara, but some states support the Moroccan autonomy plan. The Arab League supports Morocco's claim over the entire territory of Western Sahara. People's Republic of China considers itself to be the sole legitimate government of China (including Taiwan) and therefore claims exclusive sovereignty over all territory controlled by the ROC. Republic of South Ossetia 1991 South Ossetia declared its independence in 1991. It is currently recognised by 5 UN member states (Russia, Nicaragua, Venezuela, Nauru, and Syria), and four UN non-member states (Sahrawi Arab Democratic Republic, Abkhazia, Artsakh (Nagorno-Karabakh), and Transnistria). One UN member (Tuvalu) recognised South Ossetia but subsequently withdrew its recognition. Turkish Republic of Northern Cyprus 1983 Northern Cyprus declared its independence in 1983 with its official name being the "Turkish Republic of Northern Cyprus" (TRNC). It is recognised by one UN member, Turkey. The Organisation of Islamic Cooperation and the Economic Cooperation Organization have granted Northern Cyprus observer status under the name "Turkish Cypriot State". United Nations Security Council Resolution 541 defines the declaration of independence of Northern Cyprus as legally invalid. The International Court of Justice stated in its advisory opinion on Kosovo's declaration of independence in 2010 that "the Security Council in an exceptional character attached illegality to the DOI of TRNC because it was, or would have been connected with the unlawful use of force" and "general international law contains no applicable prohibition of declarations of independence". Republic of Artsakh 1991 Artsakh (formerly known as the Nagorno-Karabakh Republic) declared its independence in 1991 (roughly at the same time as Azerbaijan itself when the Soviet Union fell). It is recognised by three UN non-members: Abkhazia, South Ossetia and Transnistria. Pridnestrovian Moldavian Republic 1990 Transnistria (officially the Pridnestrovian Moldavian Republic) declared its independence in 1990. It is recognised by three UN non-members: Abkhazia, Artsakh (Nagorno-Karabakh) and South Ossetia. Republic of Somaliland 1991 Somaliland declared its independence in 1991. It claims to be the successor to the State of Somaliland, a short lived sovereign state that existed from 26 June 1960 (when the British Somaliland Protectorate gained full independence from the United Kingdom) to 1 July 1960 (when the State of Somaliland united with Somalia to form the Somali Republic). 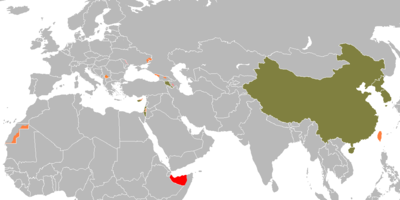 Somaliland is internationally recognised as an autonomous region of Somalia.